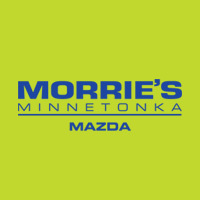 View Morrie’s Minnetonka Mazda Certified Pre-Owned inventory. Each Mazda Certified Pre-Owned vehicle comes with a confidence-inspiring 12-Month/12,000-Mile Limited Vehicle Warranty with no deductible on covered repairs, which begins when the factory warranty ends. If it’s out of warranty, the 12-Month/12,000-Mile Limited Vehicle Warranty begins on the CPO vehicle purchase date. Select satellite radio–equipped Mazda Certified Pre-Owned Vehicles feature a 3-month trial subscription to the All Access package. Enjoy over 150 channels including all kinds of commercial-free music, plus sports, news, talk, comedy and entertainment – plus the ability to stream online and with the free app. Visit www.mazdausa.com for complete details.